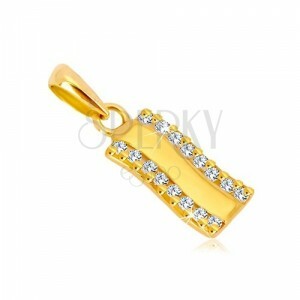 14K gold pendant - slightly wavy strip, cut round zircons of round shape, glossy surface. By buying this product you can collect up to 40 points as a voucher of $10.80. Your reward points. 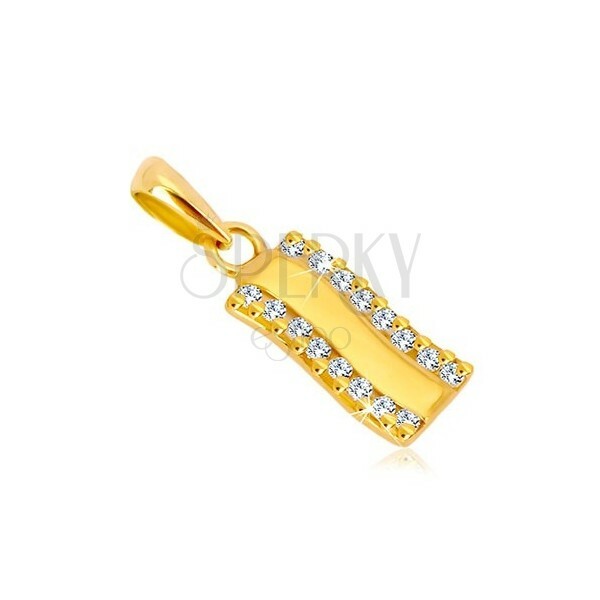 Yellow 585 gold pendant has a shape of slightly wavy strip. It is decorated with vertical zircon lines at the sides. 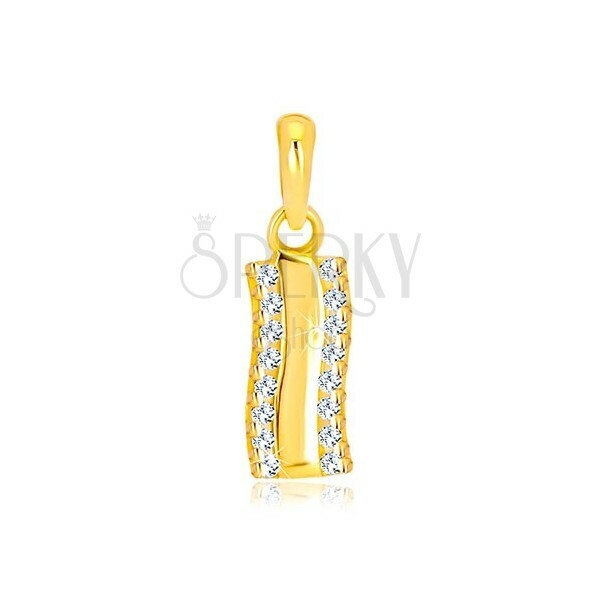 Smaller zircons are cut, round and available in transparent coloured finish. The strip is wider and glossy and it passes through the centre. 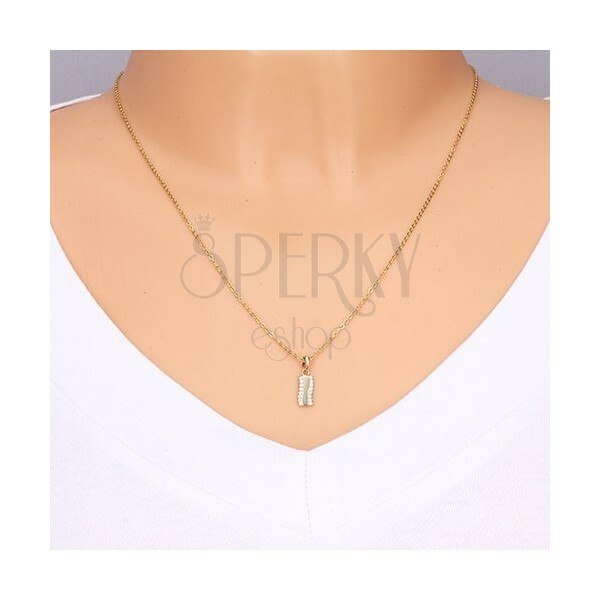 Pendant clasp has oblong shape and it slightly broadens upwards.